Kumon worksheets enable students to advance through self-learning. We will demonstrate how this is accomplished by using the maths worksheets as an example. 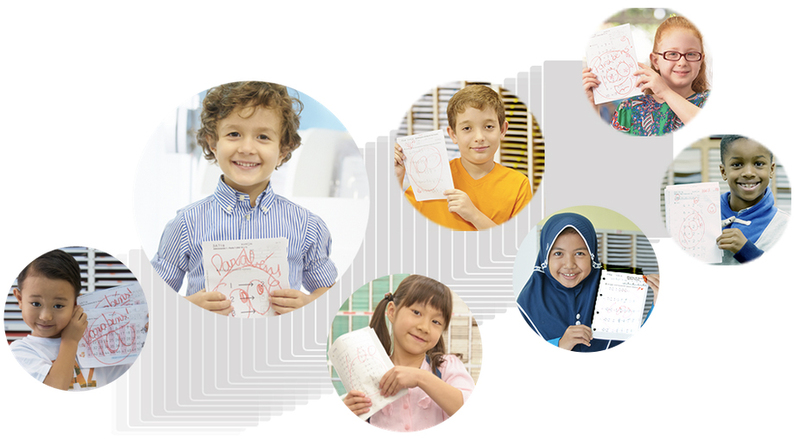 The Kumon program consists of 4,420 worksheets from preschool level material to high school level maths. Kumon worksheets increase marginally in difficulty from worksheet to worksheet so that each student can advance independently. Feature 1: Students start with easy problems, then move on. Feature 2: Students learn how to calculate quickly and accurately. In order for students to increase their maths ability, they must learn how to calculate quickly and accurately. Therefore, Kumon Worksheets contain problems that are designed to help students do so. Feature 3: Students advance with a real sense of how they are improving. Feature 4: Students think for themselves and correct mistakes on their own. Kumon’s small-step worksheets allow students to retrace their steps while making corrections, which develops their ability to think logically. Kumon Instructors guide students so that they can independently identify which parts of their answers are wrong and correct only those parts. Feature 5: Students learn from the examples independently. Kumon’s small-step worksheets enable all students to maximise their potential.